This beautiful dress is made of a dreamy eyelet fabric. 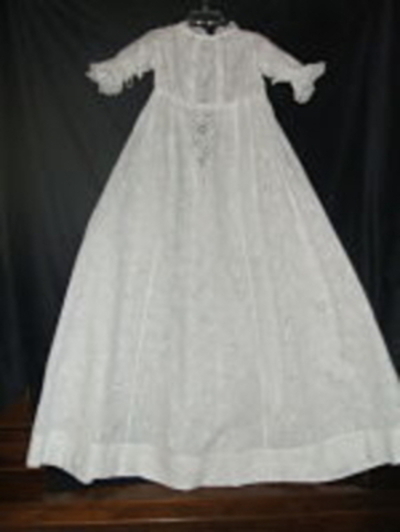 Sleeves are full length (8 inches) trimmed with lace and gathered with ribbon. The gown is gathered at the waist and length from the waist to the hem is 36 inches. Chest diameter is 24 inches around. The dress would fit the larger or older baby.